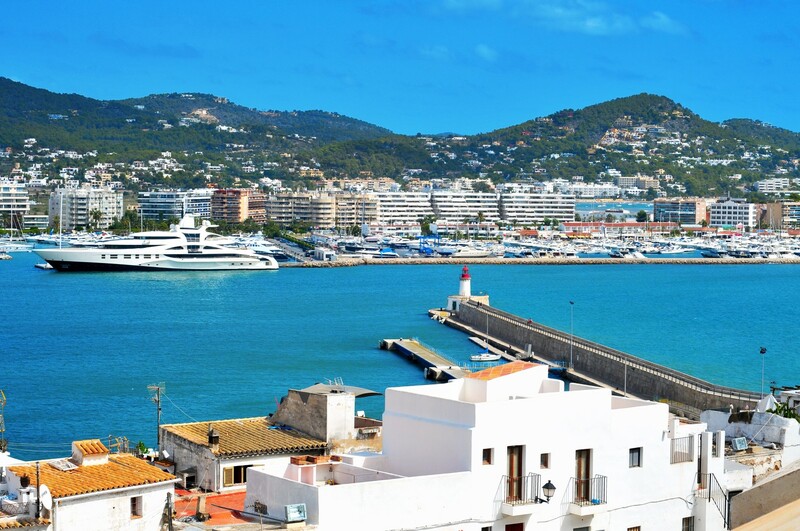 Santa Euralia de Riu is a municipality on the eastern coast of Ibiza having the only river on the island flow through the town of Santa Eulària. 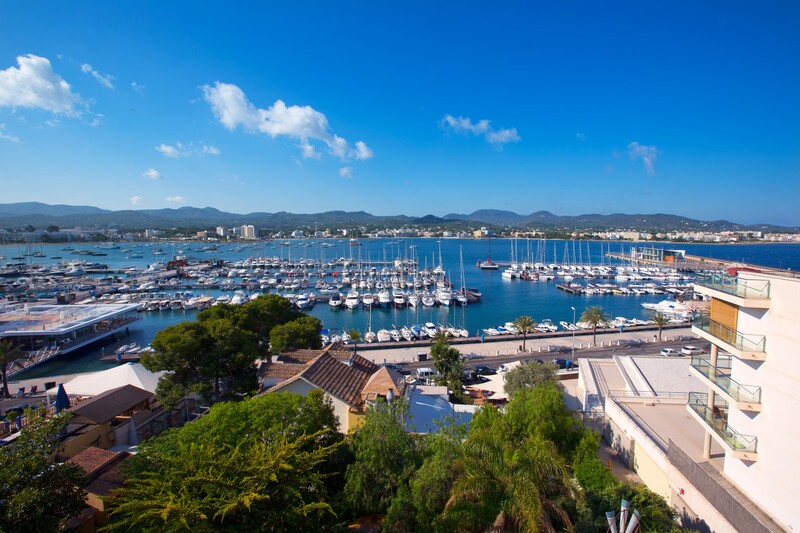 Situated on the SE coast of Ibiza, the town is a tourist resort for families. 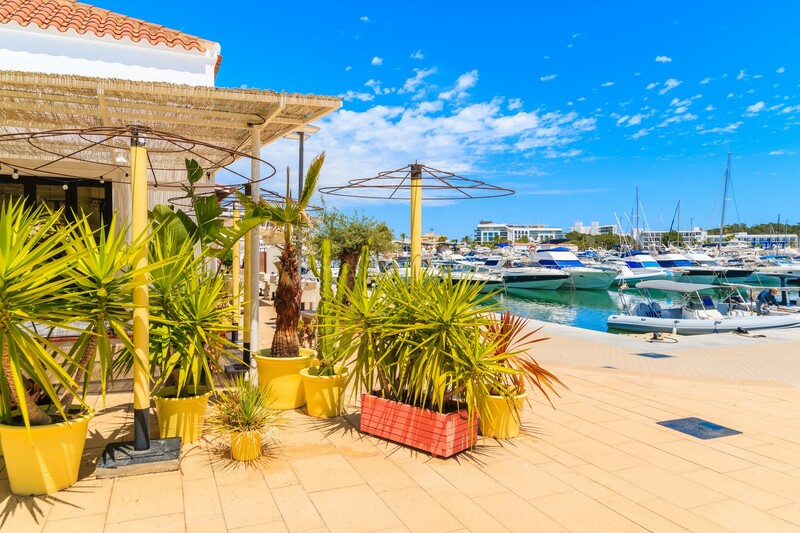 It is a nice tranquil town with a beautiful beach and a superb range of restaurants and hotels offering spectacular panoramic views and making it a very popular yachting destination, also for its beautiful beaches and crystal clear blue water. The new marina at the eastern end of town enjoys a livelier up beat focus for leisurely eating, chilling by the boardwalk, and busy evening music bars. There are two great Hippy Markets which attract large numbers of tourists and locals: Punta Arabi and Las Dalias. 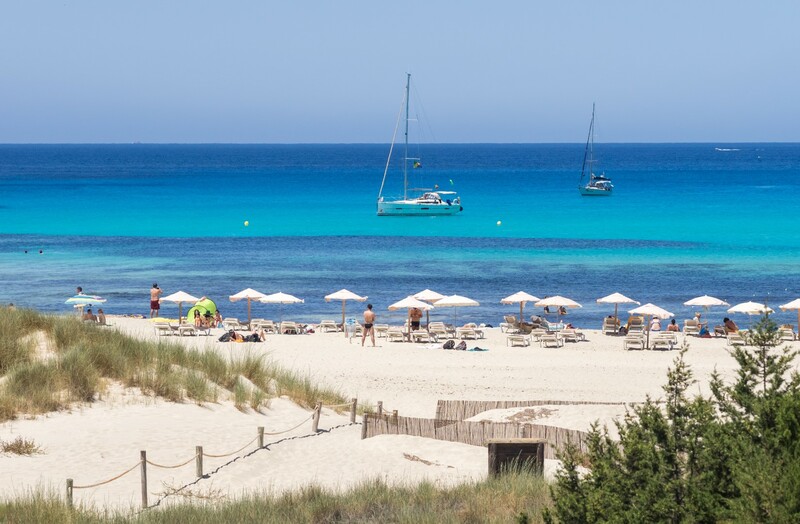 Cala Saona is the beach located on the west coast of Formentera, shaped as a horseshoe which keeps the water warm at all times. The sand is white and fine and the sea is of a wonderful turquoise color. Despite being relatively small, it is one of the most beautiful beaches you can visit. Its characteristic tranquillity and beauty make this cove a place not to be missed for tourists. It is surrounded by restaurants and bars, where you can eat or cool down with a drink while you enjoy the marvellous views of the nearby island of Ibiza or, without going so far, the coast of Punta Pedrera or the lovely Punta Rasa cliffs, which can easily be accessed on foot as they are hardly 10 minutes from the beach. One of the best, exclusive Mediterranean ports for large yachts. Excellent restaurants and cafes in vicinity. 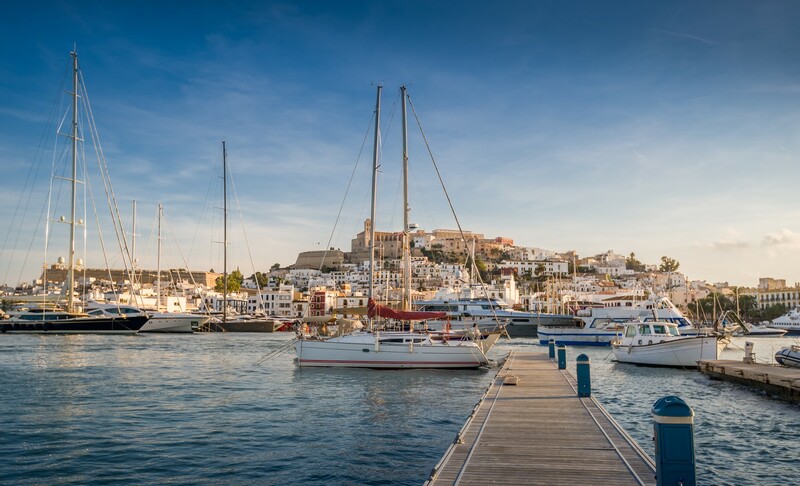 Another Ibiza port, "summer home" to many exclusive and luxurious yachts. Make sure to visit its finest restaurants. 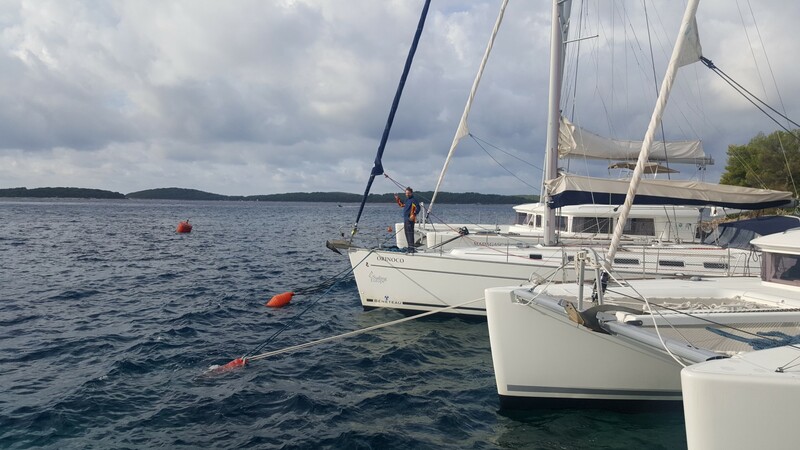 The club offers 578 moorings distributed amongst 10 quays for yachts between 20'-99'. 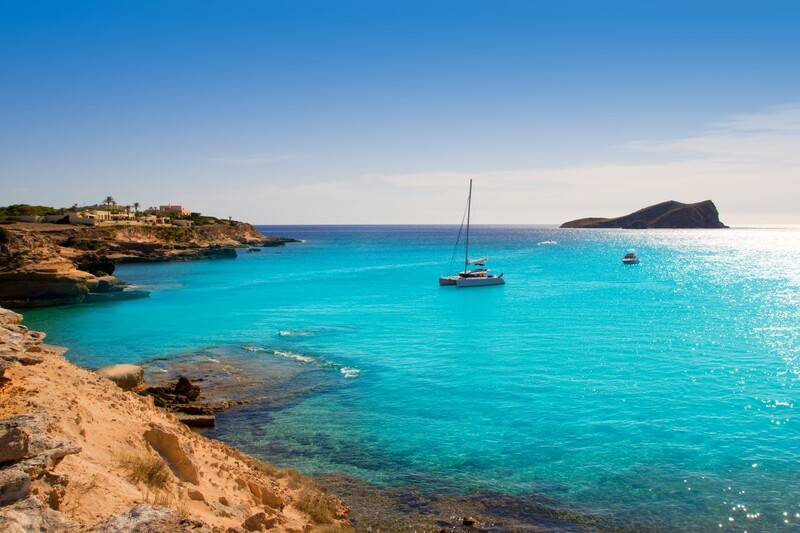 Although Ibiza is a wonderful charter option for sailing aboard catamarans, sailing or motor yachts, you might want to charter your yacht in another destination. Gather more information on your possibilities on our other pages, which give you details about specific locations. 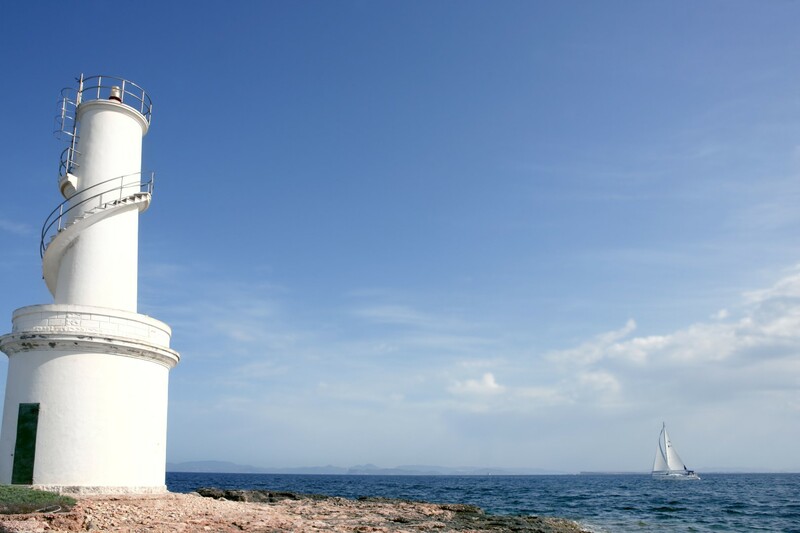 Browse A Yacht Charter Croatia and find out the top spots for charter in this beautiful country. A Yacht Charter Turkey gives you all the necessary information on chartering a yacht in one of its historic towns. Discover the secrets of Greece on A Yacht Charter Greece or get to know Italy and its top destinations on A Yacht Charter Italy. There are many options, you just need to be informed in order to make the best decision.